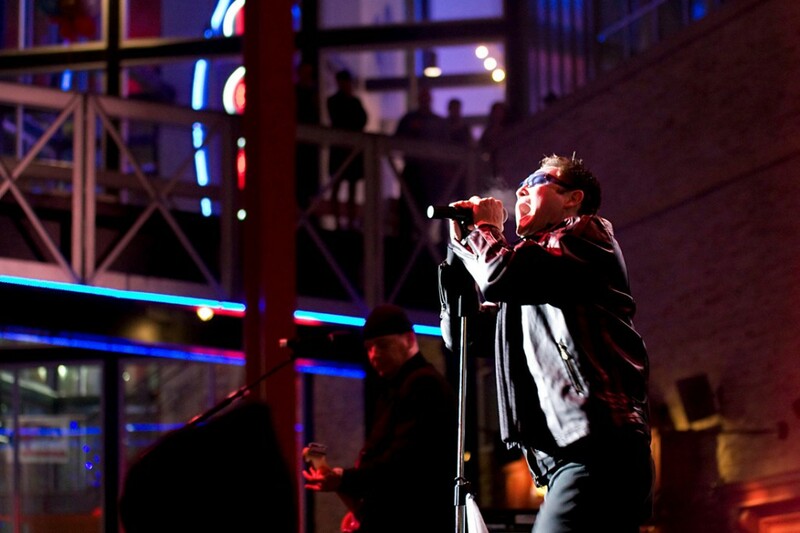 Rattle and Hum – Kansas City U2 Tribute is, quite simply, THE PREMIER U2 TRIBUTE. Placing a priority on accurately delivering the SOUND of Ireland’s greatest export, RATTLE AND HUM is the U2 tribute most dedicated to making you feel as if you are experiencing the real U2 in concert. No other band can match RATTLE AND HUM’s passion and musicianship when it comes to performing U2?s vast catalog of songs, from their debut album ‘Boy’ in 1980 all the way to the present…well, except for U2 itself. Formed in 2006 RATTLE AND HUM is comprised of some of Kansas City’s most talented musicians: Mike Jackson belting out vocals true to Bono’s; Anthony Trevino’s meticulous attention to detail in replicating The Edge’s guitar; Gary Bertoncin’s backbeat on drums; and Pat Ross’ thundering bass. The band is relentless in playing the songs with passion and energy, and always win over any crowd they play for. RATTLE AND HUM is, quite simply, THE PREMIER U2 TRIBUTE. Placing a priority on accurately delivering the SOUND of Ireland’s greatest export, RATTLE AND HUM is the U2 tribute most dedicated to making you feel as if you are experiencing the real U2 in concert. No other band can match RATTLE AND HUM’s passion and musicianship when it comes to performing U2’s vast catalog of songs, from their debut album ‘Boy’ in 1980 all the way to the present…well, except for U2 itself. Formed in 2006 RATTLE AND HUM is comprised of some of Kansas City’s most talented musicians. Mike Jackson’s soaring vocals true to Bono’s; Anthony Trevino’s meticulous attention to detail in replicating The Edge’s guitar; Gary Bertoncin’s backbeat on drums; and Pat Ross’ thundering bass. The band is relentless in playing the songs with passion and energy. They always win over any crowd they play for.